This is technology’s brightest supernova era. There have been in numerous technological advancements in the software industry. This has transformed and shaped almost every industry and organization today by granting the ability to build virtual products to imitate the different processes and allow them to study their performances. This is where 3D rendering comes in. 3D rendering is being used exhaustively by many creative sectors and organizations today and they are procuring uncountable benefits from the same. 3D rendering is the process of using specific software programs to create a two-dimensional image from a three-dimensional model of any object. Through rendering, realistic images can be generated by processing the visual information, like color, shape, texture and lighting, stored in the data structure. There are two different types of 3D rendering offline and real-time renderings. The offline rendering is used to create realistic and visually complex images. Real-time rendering is used for imitation of the movement and interactivity. The use of 3D rendering is universal and extensive. It is currently being used in many industries including architecture, movies, animation, gaming, software, and manufacturing. Here are a few unique advantages of using 3D rendering in architecture. During the design phase, with realistic 3D animation, graphics and visualization process, a detailed simulation of the structure and product is made. This visualization appears in the most realistic form providing clarity of the minute visual details of interiors and broader view of exteriors and all the other aspects of design. Hence, it gives a very clear understanding and a futuristic outlook of the space to your clients. They have a very transparent view of what certain areas, floors, landscape, elevations or textures will look it. This even permits them to perceive and address any flaw or offer recommendations and customization. 3D renderings create visualizations that allow the clients to identify issues and loopholes in the design. All the modifications and rectifications in the designs are approved and there’s a mutual agreement on it between the client and the employer before the construction starts. This helps in avoiding any further suggestions in the later stage. It saves the organization a lot of money that would have otherwise been invested to fix the issues. Since designers and architects have a clear visualization of the structure it also improves operational efficiency. It serves as the finest and most powerful marketing tool for project communication in the construction industry. The display of beautiful designs of the structures with a multiple-angle 3D view can enhance a company’s image. 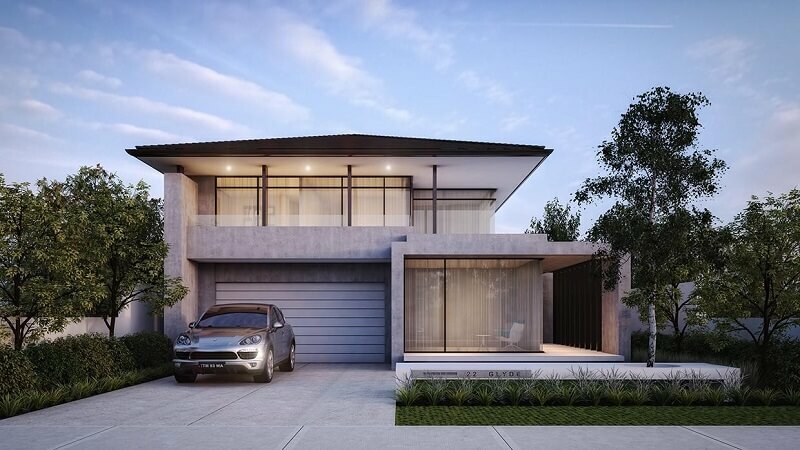 3D rendering when used to create a high-quality stunning view of the project, it can attract and generate interest amongst many potential buyers. The high-resolution 3D visualizations and animation can be used on hoardings and other media platforms to create visual appeal and lure a potential group of buyers. Within the organization, using 3D renderings leaves very little room for miscommunication. Unlike manual drawings, the prepared 3D rendering being in a digital format can be shared across several teams. It allows them to stay on the same page and avoid any blunders due to miscommunication. Since there is a clear communication and visualization of the building and products to the clients it helps the clients to look into even the minutest details. They are able to make modifications and additions without incurring extra costs. Both architects and the client is in sync with every aspect of the construction project. This helps in enhancing the client-employer relationship. Let’s not deny that the architectural business is becoming very complicated and full of obstacles. To secure a competitive ground, it is imperative to make the projects more distinctive than the competitors and be more adaptive to new and innovative techniques. It’s time to leverage the potential of 3D rendering in your forthcoming venture to retain maximum cost benefits. Give us a buzz. We are an expert firm offering additional and most innovative renders that include textures, lighting, and shadows that generate realistically and add a very close feel to the structure and landscape.